Notice: Undefined index: en in vetrine_search_block_view() (line 345 of /var/www/html/sites/all/modules/features/vetrine_search/vetrine_search.module). Fenicottero is a hand-crafted wood toy featuring a playful and expressive visual design, created by an imaginative and sensitive artist. 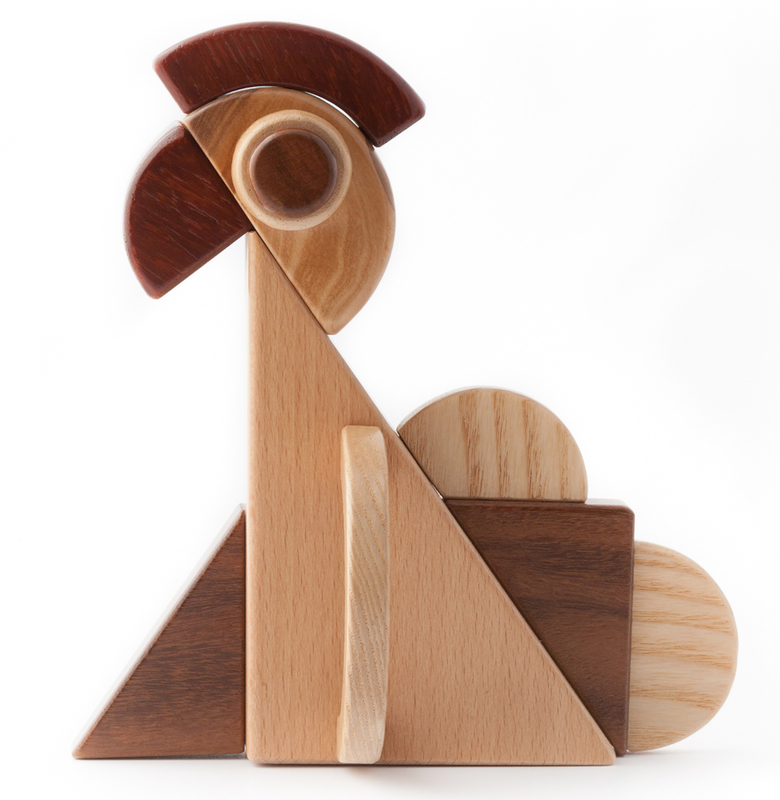 Gallinaccio rampino is a wooden character, hand-made with different types of wood and scrap materials, assembled and decorated in a bright balance of shapes. 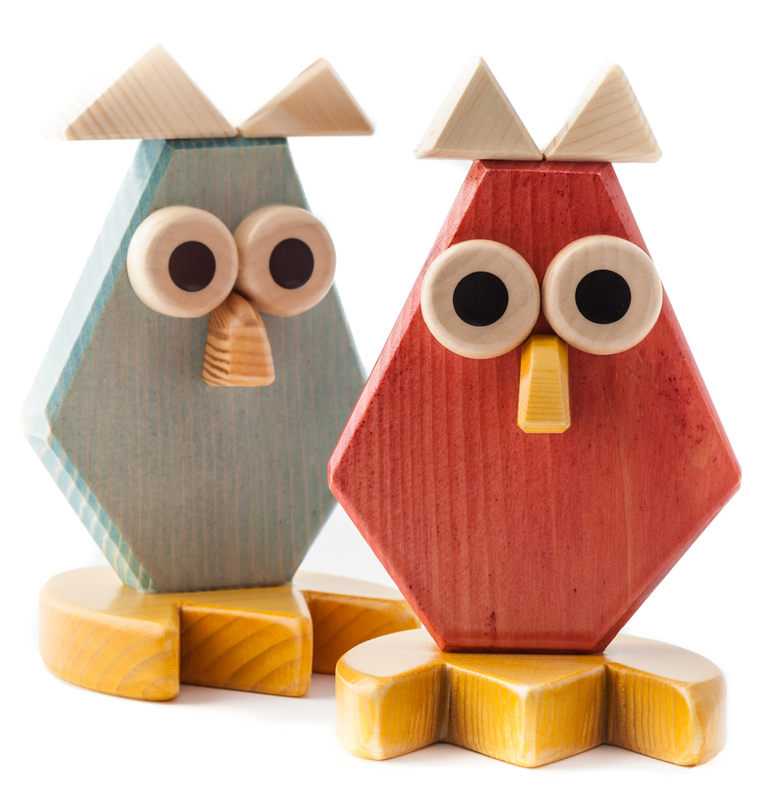 Gufo is a hand-crafted and decorated toy made of pinewood, featuring a playful and expressive visual design. 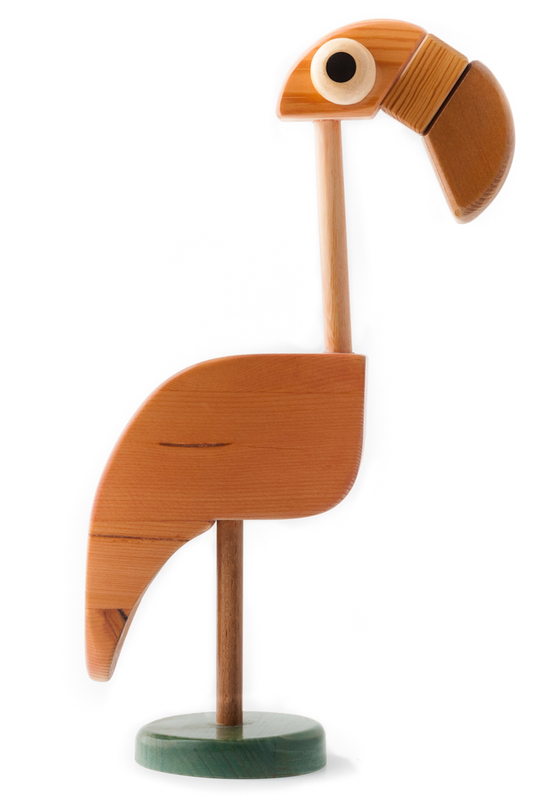 Eclectic designer-artisan Federico Coni, Maestrodascia, graduated in Industrial design - Ecodesign at the Faculty of Architecture of the Sapienza University in Rome, with a thesis in children toy design. 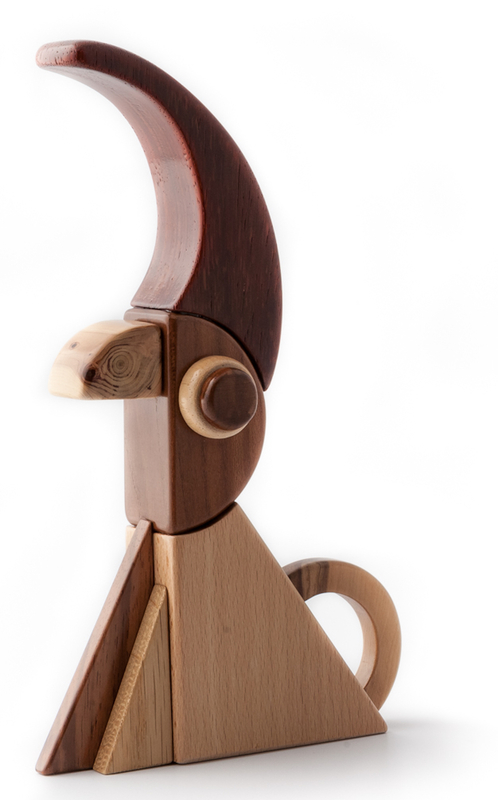 The concept of game and toys became the basis if this artisan's professional development, designing wooden characters and crafting hand by hand, inspired by a dynamic formal synthesis, zoomorphic and anthropomorphic elements. He worked on his original creations at his family's workshop, pursuing a passion he developed when he was a child. This original and resourceful artisan stands out in the craft sector for his innovative and unconventional approach and for the expressive charge of his productions. At the same time, he also designs and organizes creative workshops for schools and cultural associations. 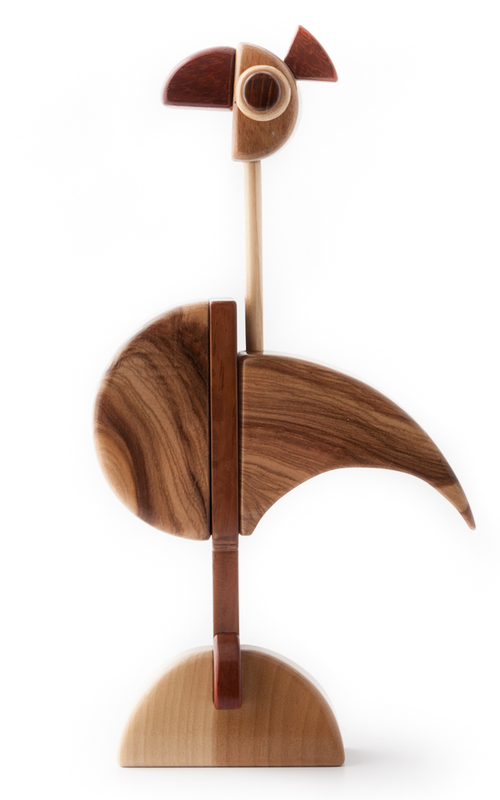 Objects with a playful character, beautifully crafted with polished and shaped wood. Every puppet is an hybrid of an animal, a puppet and an object of daily use, a successful assembly of materials and nature. Mastrodascia crafts wood with great skill, sawing and shaping each piece, and assembling them in original designs. His work also entails the recoup and reuse of scrap wood materials, the precious material that Nature provides.